An Anya Court resident had a VIP day out at the BBC Gardener’s World Live after winning our Lucky Star Christmas wish-granting competition. 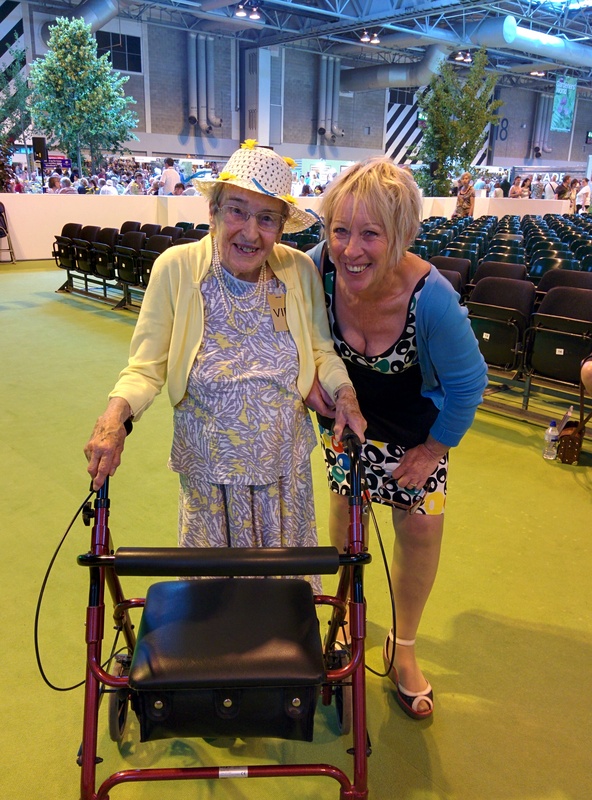 Stella Jackson, 93 enjoyed a sunny Saturday walking around the NEC Birmingham looking at the beautiful flower displays and meeting gardening expert and television presenter, Carol Klein. As an additional treat, Stella travelled to and from the show in a luxury Rolls Royce Phantom! Her visit to the show was arranged by management at the residential, dementia and nursing care home after Stella wished to go to a flower show as part of the home’s in-house competition called Lucky Star. Stella was revealed as one of the home’s winners in January.